I am very happy to once again be participating in a Blog Tour for Great Escapes Virtual Book Tours (keep up the great work Lori!!!). This tour is for Terrie Farley Moran’s new Read ‘Em and Eat Cozy Mystery series book #1, Well Read, Then Dead!!! My thoughts: Watch out cozy mystery lovers . . . there is a GREAT new cozy series in town! I really loved this first book in the new Read ‘Em and Eat series for many reasons. I am a fairly avid cozy reader and when the setting is not only a book store, but also a café, you know you have a winner on your hands! Great setting. Anyone who has ever read my blog, also knows that I really enjoy my cozies to actually spend most of the action in the book right in the setting whether it be a café, a store, etc etc and this one does not disappoint. For me that is the joy of the cozy genre.. . to spend as much time possible in that cozy space. I also love my cozies to be in a setting that I feel I want to immediately visit . . . The Read ‘Em and Eat bookstore/café certainly fits the bill. I’m so there, when can I visit. The characters in this book are fabulous . . . fun, charming, quirky, engaging, and very important I want to know more which is a testament also in my humble opinion to a great cozy. I very much look forward to returning to this series and am hopeful there are many more books on the horizon! Cozy lovers . . . do yourself a favor and put this one on your list. A great plane or beach read for anyone still getting in that last minute summer vacation! Now let’s not forget the important part . . . the giveaway. The author has been gracious enough to giveaway one print copy of the book to each blog participating in this blog tour. 2. I will close the comments on Wednesday, August 6, 2014 at 5 pm CST!!!! 3. I will randomly select the winner and email you for your mailing address/contact information and pass that info along to the tour host to get you the book! 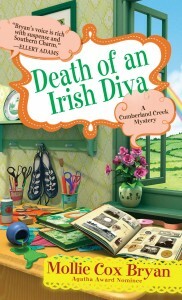 My thoughts: Death of an Irish Diva is the third book in the wonderful Cumberland Creek Mystery series! I must say I was at a bit of a disadvantage given that this was the first book that I read in the series, so it took me a little while to get familiar with the characters! A small confession. . . I do have the first two books to this series, namely Scrapbook of Secrets and Scrapped, on my shelf I believe and just haven’t gotten around to reading them . . . (hangs head in shame 🙂 That being said, this one intrigued me a great deal, got me really interested in the characters, and really peaked my interest about the plots of the previous two books, so there is no doubt that I definitely will be catching up. I loved the characters in this cozy series. They are bright, intelligent, real, strong, empowered women, with a side of fun and quirky! I love that in my cozies . . . and we all know I do LOVE my cozies. Part of me wishes that there would be more a scrapbooking focus to this particular book. I know there has to be a balance between the plot and the location/theme of the cozy . . .but I for one wanted more time with the ladies doing their scrapbooking! Loved that part. This is a great, fast read for lovers of the cozy mystery genre! Great characters, a fast moving mystery plot . . . all the components of a great cozy! The author has graciously agreed to giveaway one print copy of the book to certain blogs on the tour. To enter the giveaway please leave a comment on this post including your email address. (Of course following the blog and liking it on Facebook and Twitter is always greatly appreciated, but not mandatory)! I will randomly choose a winner (using random.org) and then contact you via email to get your mailing address – US addresses only please. I will choose the winner Monday, February 17, 2014. My thoughts: How much do I love this series . . . LOVE IT! This is book #2 in Kylie Logan’s wonderful League of Literary Ladies series including the debut book, Mayhem at the Orient Express! First off, I absolutely love the premise of this series . . . in the first book, a group of bickering neighbors is court ordered by a judge to solve their nastiness by forming a book club and spending time together for 1 hour a week! How great is that! Well needless to say . . . alas, the League of Literary Ladies is formed. I love the characters in this book . . . the ladies range from fun and humorous to quirky and just plain loveable. Can anyone say Chandra???? I absolutely flew through this book and love the humor – believe me it is laugh out loud funny at times. I read the first book in the series on a plane and had to suppress my laughter at times. If you are a lover of all things cozy – do yourself a favor – go get a copy of this book, tuck in with your favorite winter beverage, and enjoy your day! It will be worth it. The author has graciously agreed to giveaway one print copy of the book to each blog on the tour. To enter the giveaway please leave a comment on this post including your email address. I will randomly choose a winner (using random.org) and then contact you via email to get your mailing address – US addresses only please. I will choose the winner Monday, February 3, 2014. My thoughts: This is indeed a great, thrilling mystery novel. 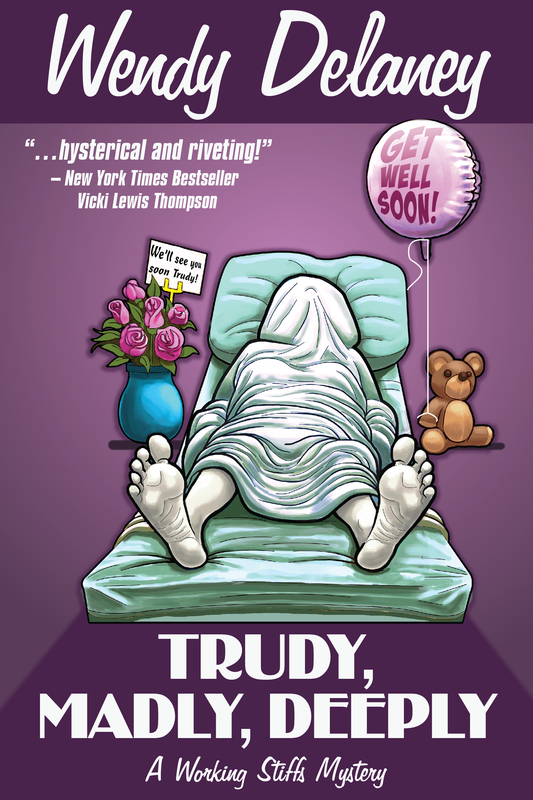 If you are looking for a typical, “cozy” mystery this is not where this book goes. I was hooked from the very beginning of the book and immediately wanted to know more about these great characters. I had a feeling from the very beginning that this book was going to take me into some, dark places with plot twists and it did not disappoint. Thank you Wendy Tyson for this great first novel in the Allison Campbell Mystery series. I am surely hoping for more, more, more. I love a great dark, psychological thriller! Yes! Definitely give yourself a treat and read this book. The author has graciously agreed to giveaway one print copy of the book on a number of blogs. To enter the giveaway please leave a comment on this post including your email address. I will randomly choose a winner and then contact you via email to get your mailing address. I will choose the winner October 3, 2013. There is also a Rafflecopter giveaway at the following link. Please click here to enter Rafflecopter giveaway. Romance is supposed to be the spice of life. But Maxie Pierce is so done with bad relationships—well, almost. She just has to get rid of the latest loser, Roberto. Besides, she has more important things to worry about. Her daddy, Texas Jack Pierce, king of the chili cook-off circuit, has been missing for nearly six weeks now. In his place, she must team up with her irritating half sister, Sylvia, to promote the family business at the Taos Chili Showdown, to be judged by celebrity chef Carter Donnelly. My thoughts: Anyone that has ever looked at this blog knows that I love my mysteries and I love my cozy mysteries even more. 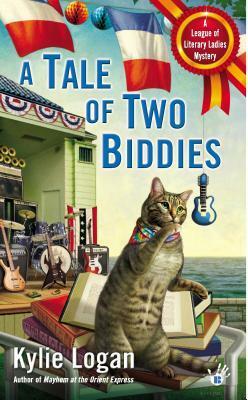 When the opportunity came up to be a part of a blog tour on a new cozy in a new series by the author of cozy series I had read before, I jumped at the chance. This is the first book in the new Chili Cook-off Mystery series by Kylie Logan, author of the Button Box Mysteries and The League of Literary Ladies series. I have read books in both of these series and highly recommend, particularly the first book in The League of Literary Ladies series which I was reading on a plane and literally snickering out loud. Ok, back to Chili con Carnage. I really enjoyed this cozy mystery. I liked the main characters, Maxie and her half-sister Sylvia – after all who doesn’t love a little conflict in a sibling relationship. I found the supporting characters to also add a great deal to the book. I loved that there was a humor added in – I love laughing during my reading ( I mean picturing Maxie running around in a chili costume, hilarious)! 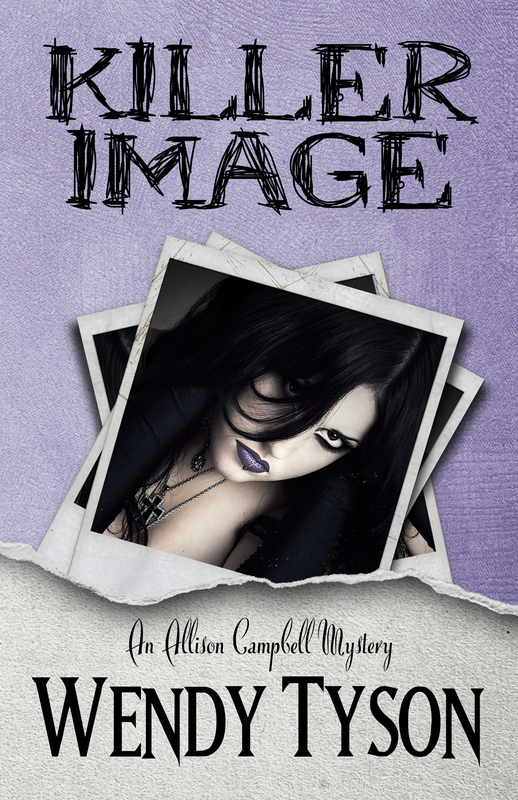 Anyone who has ever peeked at this blog also knows that I like my cozy mystery series to have a strong female lead character – Maxie fits the bill indeed! Being from Wisconsin and now living in Illinois I’m not at all familiar with the chili cook-off scene other than what I have seen on the Food Network. I think if I would be more familiar with the scene (as those who live in the Southwest probably are), I would have gotten a better picture in my head of the whole scenario. I look forward to reading more in this series . . . and from me, Kylie please keep writing the League of Literary Ladies Mysteries – HILARIOUS!! The author has graciously offered to give away one print copy of the book to each hosting blog. To enter this giveaway simply leave a comment and your email on this post and you will be entered. I will randomly select the winner on September 28. I will then contact the winner via email to get their mailing address and the book will be on its way from the tour host. As accusations against her turn vicious, Faith sets out to prove her nemesis, Darlene, committed the crime, only to realize they are both innocent. Now they must team up or the murderer’s plan will come together seamlessly with the frenemies sharing a jail cell-or worse, a funeral. Part of the Henery Press Mystery Series Collection, if you like one, you’ll probably like them all! 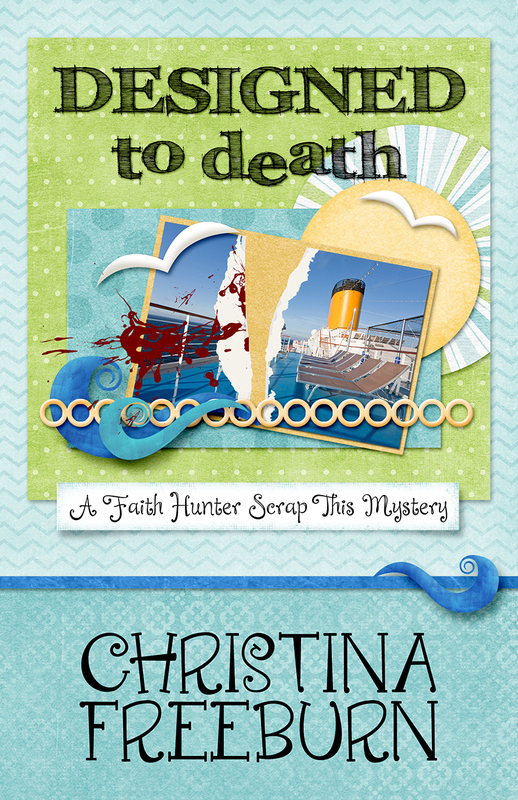 DESIGNED TO DEATH is the second book in the Faith Hunter Scrap This mystery series. Be sure to check out the first crafty mystery, CROPPED TO DEATH. Bonus: includes scrapbooking tips. Can we say YAY!! for another scrapbooking/papercrafting cozy mystery series! Some of the other scrapbook/papercraft mystery series that I follow have just lost their edge to me so I am very excited to have found this series! Wooooo! I really enjoyed this book. Now I am the type who hates to read their series out of order, so in the middle of reading this book I didn’t want to miss anything from the first book in the series – Cropped to Death – so I quick downloaded it to my iPad (Kindle app $0.99, hello fantastic deal)! So I read both books simultaneously, the first one while I was working out on the elliptical and the second one the rest of the time! I find this a charming, engaging series. The characters are fun, energetic and I want to know more about them. This may sound strange, but another thing I really love about this series is that much of the action of the story actually takes place in the scrapbook store, Scrap This! I have found in some of my other cozy series as they go along that the characters are almost never in the location that made the book a cozy to begin with. If I am reading a cozy mystery I want to be in the location, in this case the scrapbook store, and get a vivid picture in my mind of what that place is like . . . LOVE! This is the exact reason I read cozies so I can dream about that place and what I think it looks like. Call me strange, but . . .
As a papercrafter/cardmaker myself, I really got a kick out of reading about all of the supplies that I myself use . . . papers, Copic markers, layouts, YAY! I look forward to reading more in this series .. . after all I want to see what Faith gets into next!!! Since this book is about scrapbooking/papercrafting, I thought it would be fun to include a picture of my own little card studio as I like to refer to it . 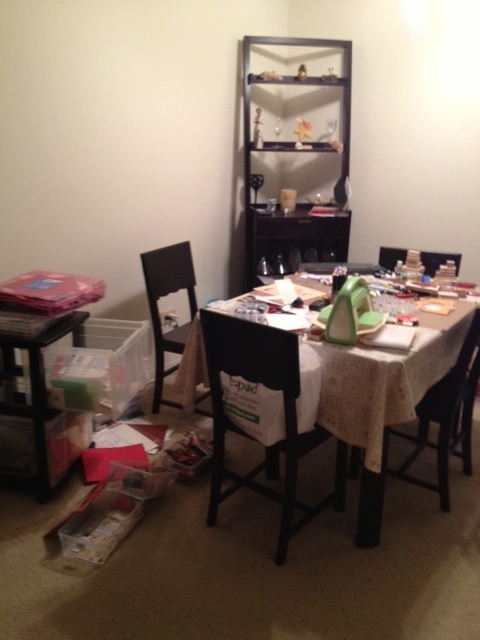 . . ok, its my dining room, but it is my creative space. And yes I can see why Faith’s space is always a mess, I’m right there with her! Go out and get this book, you will not be sorry! The author has graciously agreed to give away one copy of the book to a number of blogs. The winner gets their choice of book format – Kindle, Nook, or print. To enter the giveaway, please simply comment on this post with your email address and book format choice (following my blog is always nice too :), but certainly not required). I will randomly select the winner on September 20. I will contact the winner by email to obtain their address which I will then pass along to the tour host to get you your book. latest victim of a serial killer? open or the next body on the way to the morgue could be hers…. My thoughts: I truly enjoyed this cozy mystery. I read a lot of cozy mysteries and anyone who has ever read my cozy reviews knows that I enjoy a main character who is a strong, female presence and love even better when that main character is hilarious as well! Char certainly meets these criteria. I found the book funny, engaging, and a true pleasure to read. The characters were well developed and like any good first book in a series, left you wanting to know more about the characters, . . . What is their back story? How did they get in the situation they are in now? How will their relationships develop? Truly a fun, witty book with hilarious moments and lovable characters! I look forward to reading more in the Working Stiffs Mystery series! I wonder what book 2 will entail??? Do tell, Wendy!!!! The author has graciously agreed to give away one free e-book per participating book blog! If you are interested in entering the giveaway, simply comment on this post with your name and email address (I need the email address to give to the author to get you the book). I will randomly select the winner on 9/18/2013 and contact the winner!